The Chosen One is a wildly overplayed trope that supports random fate over the toil of hard work. If the cliche reaches to children it may send a troubling message: it doesn’t matter how much one tries, just what the prophecy says. That’s not to say that the young should be coddled, rather that individuality is a vital aspect of humanity. The world becomes that much more if we can contribute to it in our unique way. Emphasizing the notion of a chosen one ruins the idea that everyone has something to contribute. These are the ideas that writer/directors Phil Lord and Christopher Miller attempt to grapple with in The Lego Movie, a film that has no business being half as inventive as it is. In an age where Pet Rock II is surely around the corner, Lego is able to buck the trend of being tired and unnecessary by virtue of its frantic energy and sharp pop culture humor. It also spends its third act juggling weighty themes, and though it should be applauded for the effort, it occasionally swallows one thread in favor of another. But the good, the ways in which The Lego Movie mocks tropes and culture, largely outweighs the moments when ambition and quality clash. We follow Emmet (Chris Pratt), an everyman construction worker calmly obsessed with living as average a life as possible. He watches and adores a repetitious sitcom, listens to the same pop song as nearly everyone around him and follows instructions to the letter. He’s fully complicit in the state-mandated sameness that normalizes every corner of his world, and rarely questions any piece that menacing. Most of those pieces form the body and headquarters of the brilliantly named President Business (Will Ferrell). Business rules the world (the film is smart, not subtle) and has a master plan to keep everything the same. His desire stems mainly from hubris, the fear that consistency is the key to power and happiness. Emmet stumbles upon an artifact that could stop Business, and inadvertently teams up with a number of Master Builders, like Wyldstyle (Elizabeth Banks) and, of course, Batman (Will Arnett). Most importantly, to both the plot and the quality of The Lego Movie, Morgan Freeman voices Vitruvius, a blind sage that sends up nearly every role that made Freeman famous. One of the best jabs at the chosen one mythos is a running joke that sees Vitruvius growing tired of Emmet’s incompetence. As the story progresses, a twist shakes the entire core of the film, adding layers while potentially risking a level of detachment. Some of this section works thanks to quietly rich performances and sharp, subtly emotional writing. But once the new dressing is reapplied to the main narrative the message becomes muddled. Saying too much more would breach spoiler territory, and the reveal should be kept in tact. But The Lego Movie suffers most in its climax, a scene that wets the eyes but puzzles the mind (the moral conclusion of one narrative seems misaligned with the other story). Those quibbles do detract, but they hardly maim a project this inventive and delightful. Arnett’s Batman perfectly mocks the occasionally put-upon darkness of Christopher Nolan’s interpretation, especially in the form of a song that mercilessly devours the idea of the cool bad boy. Pratt gives a great vocal performance, bringing his easily excitable performance from Parks & Rec to the naïve Emmet. And The Lego Movie is a visual feast with its blend of CGI and stop-motion (mainly the former). The surroundings are constantly reinvented with shifting objects, and even smoke billowing from a train is captivating. Lord and Miller bring not just the look, but the spirit of Legos to the big screen, to the point where it seems silly to have ever doubted this film. With the world (and licensing rights) of these toy bricks the film can make jokes about the Wild West, Green Lantern and Lord of the Rings in quick succession. 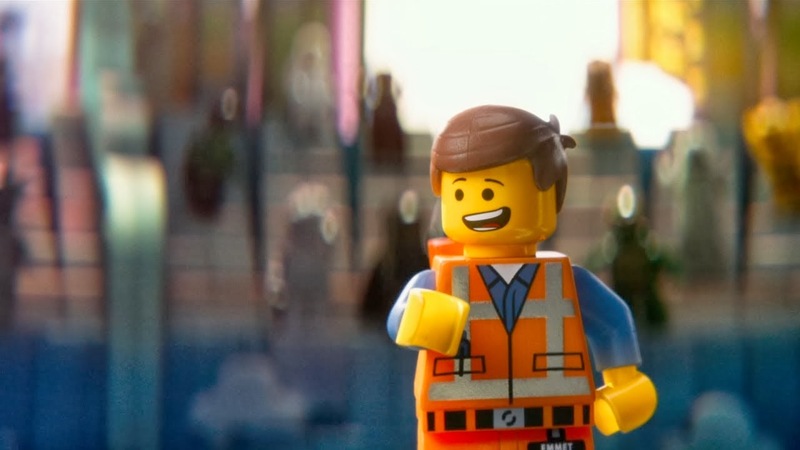 The mentality of anything goes informs almost every corner of the frame in The Lego Movie; it will take multiple viewings to absorb, or even see, every visual punch line. The emotional content is aided by the film’s specific energy too, so the twist gives depth rather than seeming out of place. Even if certain thematic buttons falter, the whole is infused with an imagination as varied and colorful as the film’s “source material”. Lord and Miller, who have previously helmed the very good adaptations of a slight picture book (Cloudy with a Chance of Meatballs) and a maligned nighttime soap (21 Jump Street), prove one of the lessons they throw at this film’s end: it doesn’t matter which box of toys you buy, only what magical things you’re able to create with the pieces. Some of the movies are the best to watch and they shouldn't miss out at all. In this type of movies so much fun with drama so watch Drama Movies online.